Great sink for the money. Clean lines, looks good in traditional or modern bathroom. We needed a small vanity and plan to use this with a converted antique side table. Do you need a new sink? 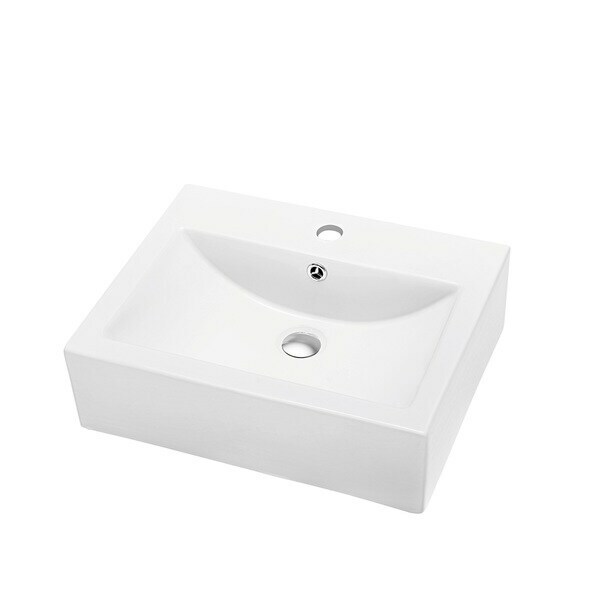 A white one, made of ceramic, with a classy modern construction and a bottom center drain? Then this is your answer.